Elegant baby footie in wool blend. Material 50% wool 50% acrylic. Heavenly color. 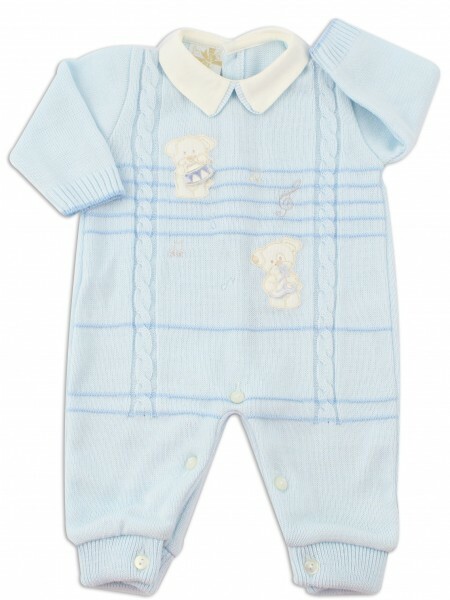 Baby footie zuava pattern with white cotton collar. On the front, braided. Apply puppies playing instruments on the lines of a stave. Sizes 1-3 months. Opening in the back with buttonholes and mother-of-pearl buttons.